Carlton Television(Independent TV): Investigative reporter/producer on current affairs series 30 Minutes. Documentaries included miscarriages of justice and controversy surrounding the care of the elderly in private nursing homes. Who Cares?...documentary reveals the scandal of care for the elderly in private nursing homes. 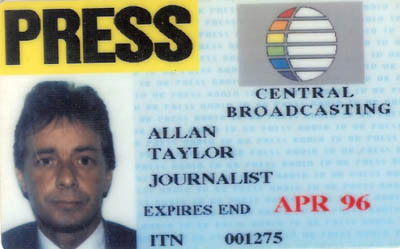 Reporter/Producer Allan Taylor. 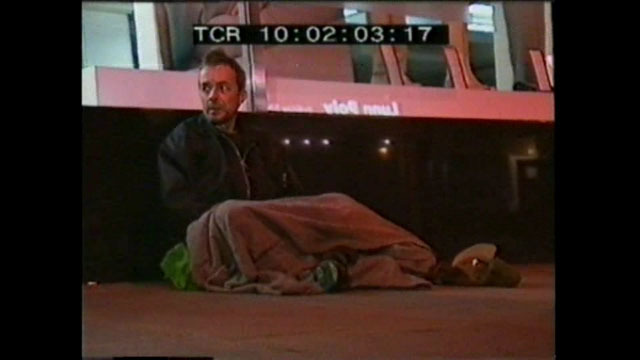 After living and working undercover on the streets of Nottingham the acclaimed documentary Beggars challenged the political view that charities were encouraging people to live on the streets. Secret filming showed drug addicts, runaways and the homeless were in the majority, and that most didn't have an alternative to living rough. Beggars. Hard hitting expose of life on the streets in a British city. Secretly filmed by undercover reporter. 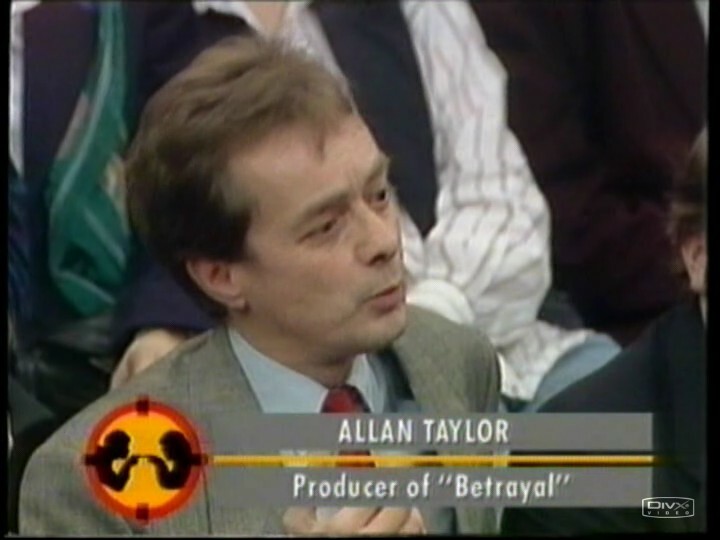 Reporter/Producer Allan Taylor. 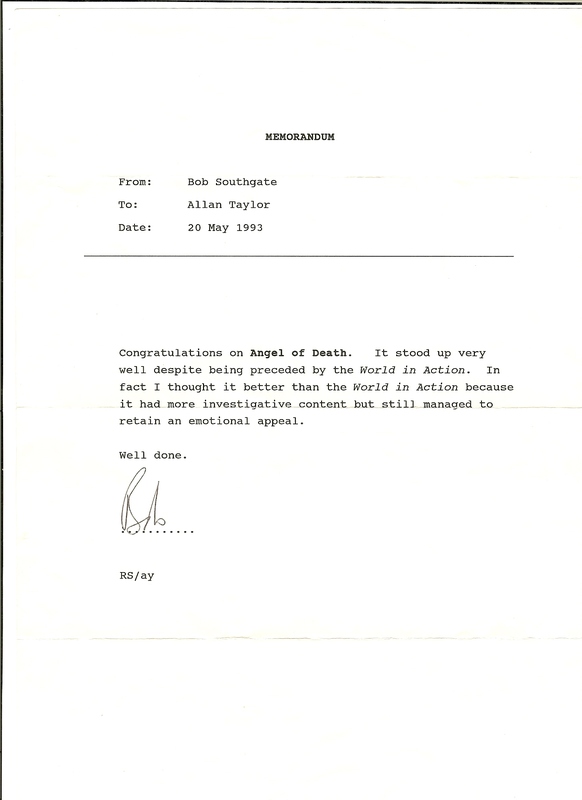 The video excerpt above is from a television debate instigated by revelations in the 1991 documentary Betrayal. Indifference to the abuse of vulnerable children meant several decades would pass before other scandals were uncovered, but some in the media should reflect on how they looked down on the subject and didn't consider it worthy of their attention. Allitt. High Court rules against the British government, and in favour of world exclusive interview with serial killer being broadcast. 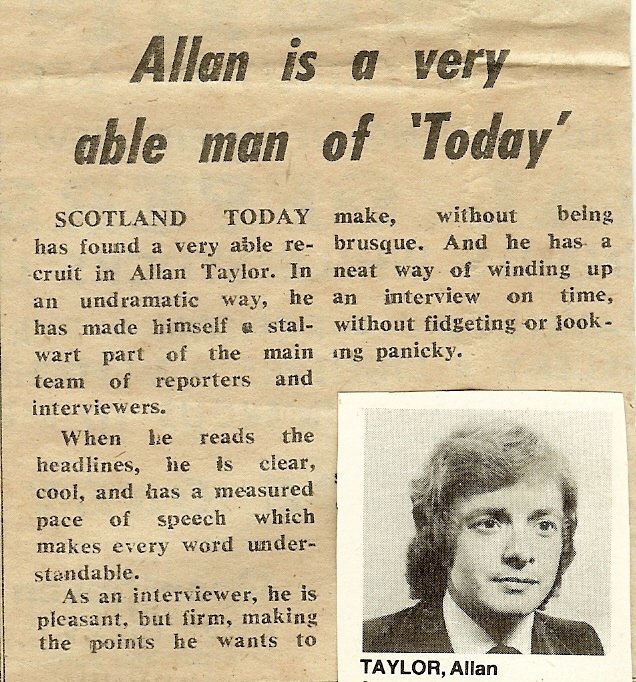 Reporter/Producer Allan Taylor. 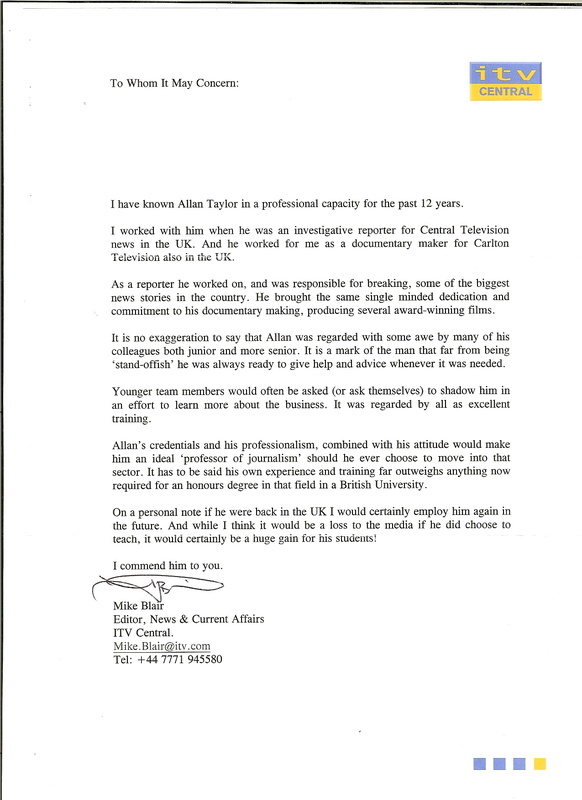 Tyne Tees Television: Presenter/ Reporter on Sunday Edition, a weekly investigative current affairs series. Based in Newcastle the programme covered the main issues in North Yorkshire and the North East of England..
Freelance News Correspondent With I.T.N. (Independent Television News) and T.V.A.M. (Breakfast Television) based in London. Hosted phone-in news programmes on radio L.B.C. 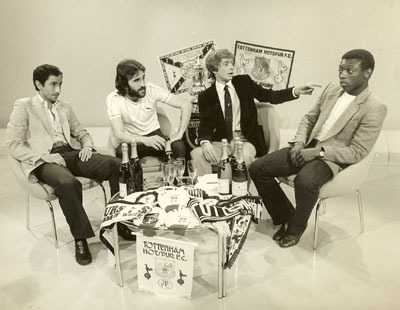 (London Broadcast Company). I.R.N. 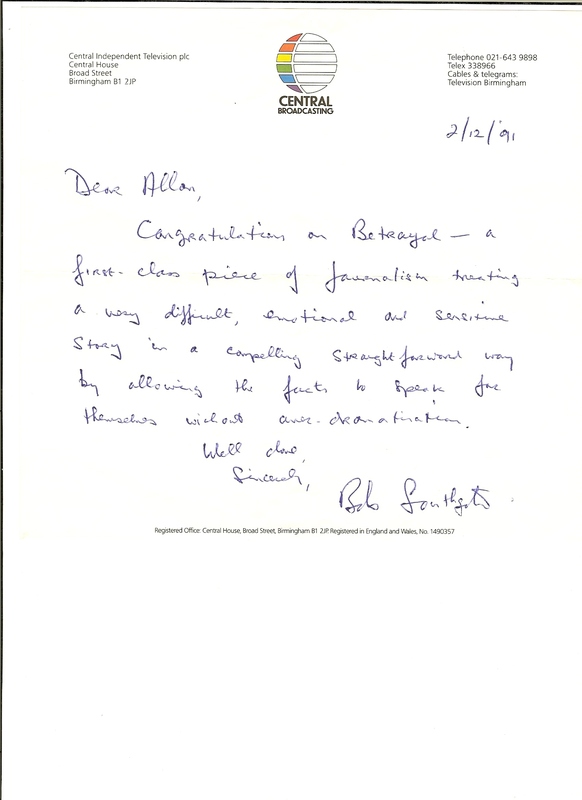 ( Independent Radio News): Industrial correspondent . Radio Clyde, Glasgow: Newsreader/ reporter/ producer. Graduated Journalism/Broadcast Communications with Honours (equivalent).